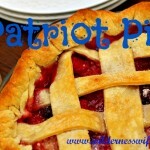 4th of July Patriot Fruit Pie – incredibly delicious with a red, white and blue touch! I always make this recipe on the 4th of July and it’s afamily favorite all summer long. But in July the berries are abundant here in Maine, so all the berries are fresh and yummy. And those delicious, fresh juicy berries make this pie the yummiest, plus you have the fun of picking them yourself. Throw on a scoop of Maine-made Giffords Vanilla Ice Cream and you are talking Downeast culinary heaven! 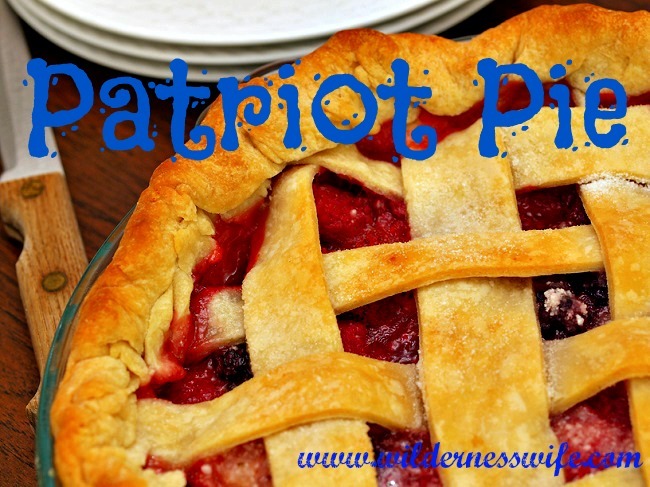 The perfect pie for a patriotic holiday – red, white and blue – apples, blueberries, and raspberries! How much more patriotic can a pie get than this red, white, and blue fruit pie using apples – white, blueberries – blue, and raspberries – red! I use Splenda for part of the sugar amount to reduce calories. If you use manufactured pie crust, sprinkle both sides of the bottom crust with flour before placing in pie plate. Place bottom crust in pie plate. Sprinkle 2 tablespoons of sugar over bottom crust. This will create a caramelized layer to help keep juice from leaking through bottom crust. I do this with all my fruit pies. Dust raspberries with 1 tbs. corn starch and place in pie plate in an even layer. Mix cinnamon, nutmeg, and ginger into 1½ c. sugar. Sprinkle ½ cup of this mixture over raspberries. Place apple slices in pie plate. Sprinkle ½ cup of sugar/spice mixture over apples. Dust blueberries with 1 tbs. of cornstarch and place in pie plate. Sprinkle last ½ cup of sugar/spice mixture over blueberries. Top with second crust. If crust is solid be sure to make a few slits in the top to vent steam. I often use a pie bird which eliminates the necessity for slits. Also this pie looks very pretty with a lattice work top. Cover crust edges with aluminum foil 20 minutes of baking time. Remove foil and continue to bake for another 25 minutes. Let pie cool completely before cutting to serve. yummmmmmmmmyyyyyyyy! I would love a slice or three of this pie any day! 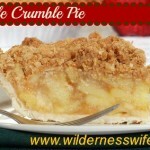 Some of my fav fruits included in a crisp and delish crust? Can’t beat that and why would you when you could eat it! nom 🙂 Thanks for sharing! Thank you for joining the Small victories Sunday Linkup. Please join again.